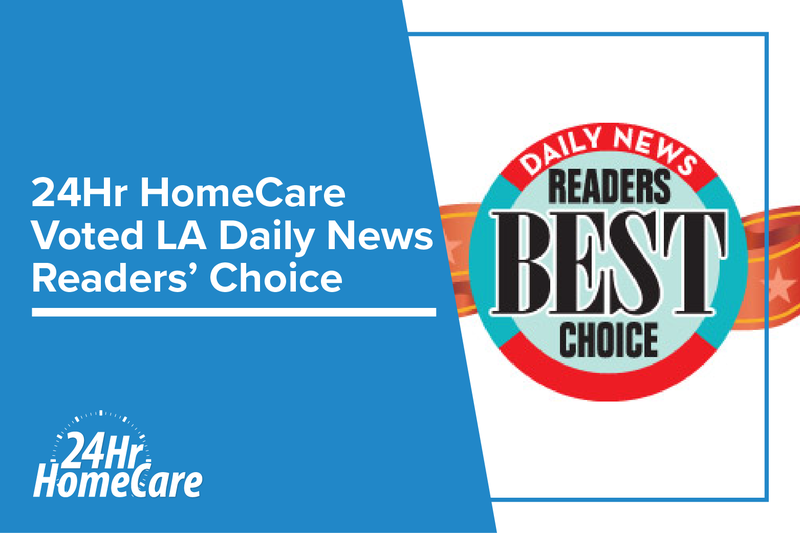 Los Angeles, California – 24 Hour Home Care is pleased to announce that the readers of the Los Angeles Daily News voted them as “Best In-Home Care.” This award is given to the company that serves its community with passion and drive, while providing excellent services to the people of Los Angeles. 24 Hour Home Care has been a pillar in the Los Angeles senior services community since the opening of its first office in Torrance in 2008. This marks the third year that 24 Hour Home Care has been voted by the readers of the Los Angeles Daily News. This great honor comes on the heels of another community voted award in the Los Angeles area, South Bay’s Best In-Home Care.